Is your garage so full of clutter that you can’t even fit your car in there anymore? Have you been in the unfortunate position of having to purchase an item you already own because you can’t find it in the disorganized mess? Wouldn’t it be great to have a garage that can house your car and all your tools and other equipment? 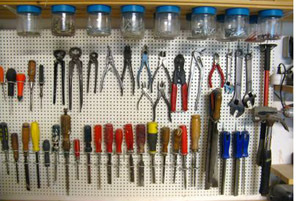 If so, check out these twelve steps to help you organize your garage and get rid of the clutter. 1. Set aside enough time to get the project completed. 2. Buy a strong shelving unit. 3. Set up three separate containers or areas. 4. Get rid of all the obvious junk. 5. Organize items into specific categories. 6. Place similar items into containers. 7. Taking care of action items. 8. Reviewing the repair pile. 9. Take the items that you plan to donate to a local charity ASAP. 10. Making money off of unwanted items in your garage. 11. Putting on the finishing touches. 12. Sit back and relax. These can be found at your local hardware store such as Home Depot. In addition, buy a permanent marker and several plastic containers with lids that can fit onto the unit. Be sure to measure the height of the shelves to make sure the bins will fit perfectly. 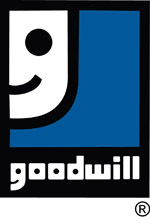 You will essentially be setting up three different sections for trash, action items, and items for donation or sale. To be clear, action items should include things that you borrowed and will return, items that need to be repaired, and things that would be better utilized in other parts of your home. The very first thing that you need to do is to throw away the things that are lying around that you haven’t used within the past twelve months. You must be very methodical when carrying out this step. The more items that can be placed in related groups, the easier it will be to figure out what needs to be kept and what is no longer needed. Once a container has been filled, label it clearly and put it away on the shelving unit. You should be able to know what items are in a specific container from a distance. When you are finished storing things on the shelves, then start calling the owners of the items that need to be returned and arrange for drop off or pick up. Take a serious look at the items that need to be repaired. You must consider whether or not they will be more hassle than they are worth. If fixing these items will cost you more money than it would to replace them, throw them away. However, if the cost of repair is only a minor inconvenience, make it a priority to have them repaired as soon as possible. The object of organizing your garage is to create space and keep it organized. It is a must that you get rid of unwanted items immediately. In cases like this you can utilize a couple of options. The easiest would be to have a garage sale. However, it is quite possible to make more money by selling unwanted items online on sites like Ebay and Etsy. Now that your space is free of clutter, it is time to handle the small details like sweeping the floors or wiping the walls down. Your job is finally complete. It is time to give yourself a big pat on the back. Congratulations!